Today’s lessons…your bike doesn’t want to fit into your hatchback because you’ve tried to squeeze it in without taking off the front tyre. Quick release was invented for a reason. You may hope to explain this approach on you not being a morning person but this notion will be quashed when you take off at the start line three hours later and you’ve neglected to reconnect the brake cable. Two false starts. Testament to me not being naturally mechanically minded and that I’d not played about with my bike for a while. Thankfully neither were omens for any calamitous event. It was a case of third time lucky and Chel & I were off. But not off and racing (well, not officially anyway*). 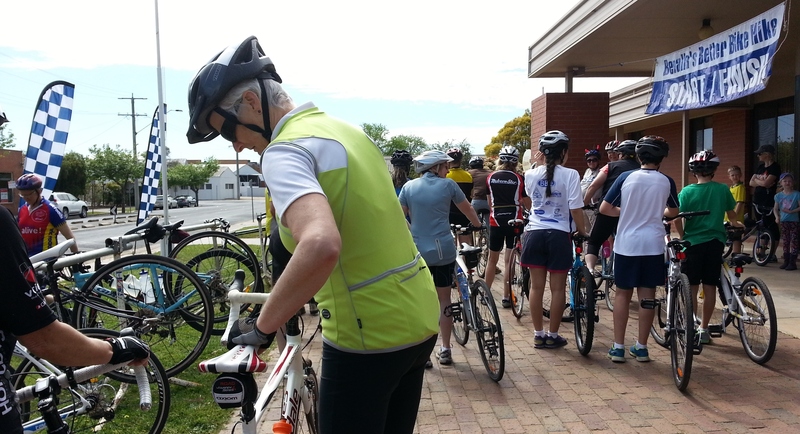 It was a casual and inclusive feel for the 26km ride of Benalla’s Better Bike Hike. The more serious crews – including Duncan – had set off earlier on the 60 and 125km courses around the paddock outskirts of this regional city in Victoria’s north east. The event was a fundraiser for the local EdSpace Training Centre, which provides educational programs for 11-18 year olds with disorders affecting their success in mainstream schooling. 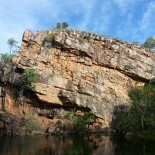 For me and Chel, it was an active outdoor alternative to sitting idly chatting in a café or pub. 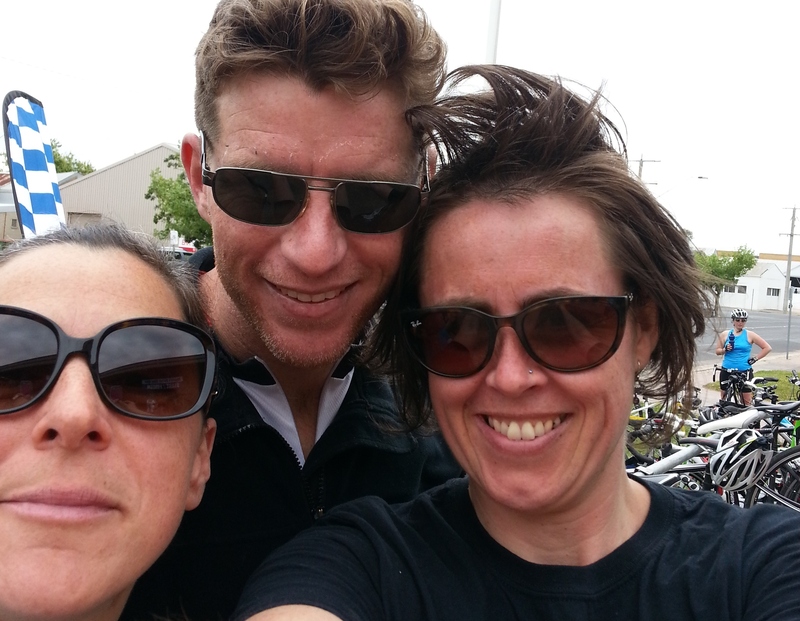 The flat sealed surface meant we were able to talk pretty much the whole distance with pause only for two puff-focus bridges over the Hume Hwy, and the odd blood check pre-emptive food in gob stops, which averaged about every 7km. 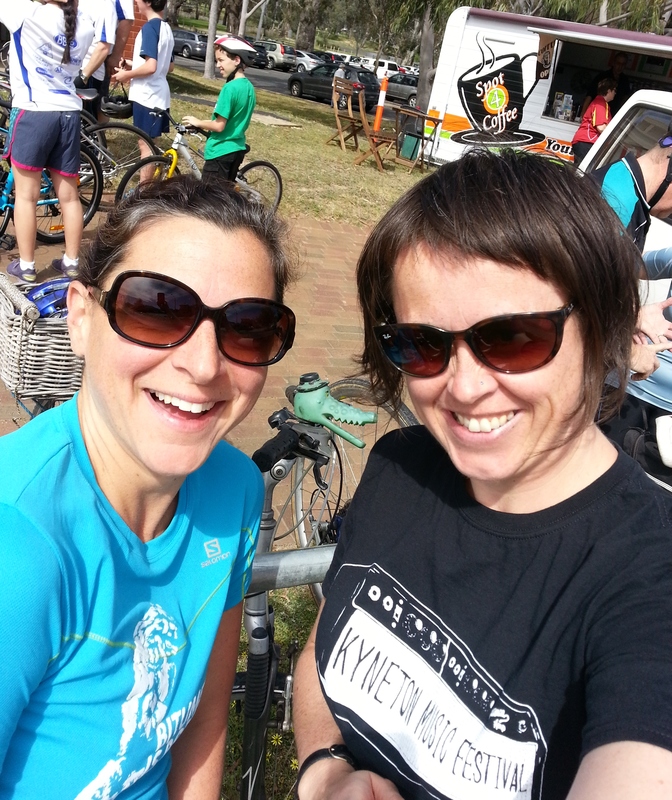 We were pretty chuffed to maintain a speed of about 17km an hour – especially with one of us on a dinosaur bike and the other new to navigating skinny tyres. Cheered on by cows, we were. It helped that the forecast storms waited patiently. So timely was it that the first drops of rain hit the windscreen as I took the final turn out of Benalla. The rain made for a nice scenic drive amongst the cavernous trees the back way home through Nagambie and Heathcote. Something About Mary-esque. Just sweat, I assure you. 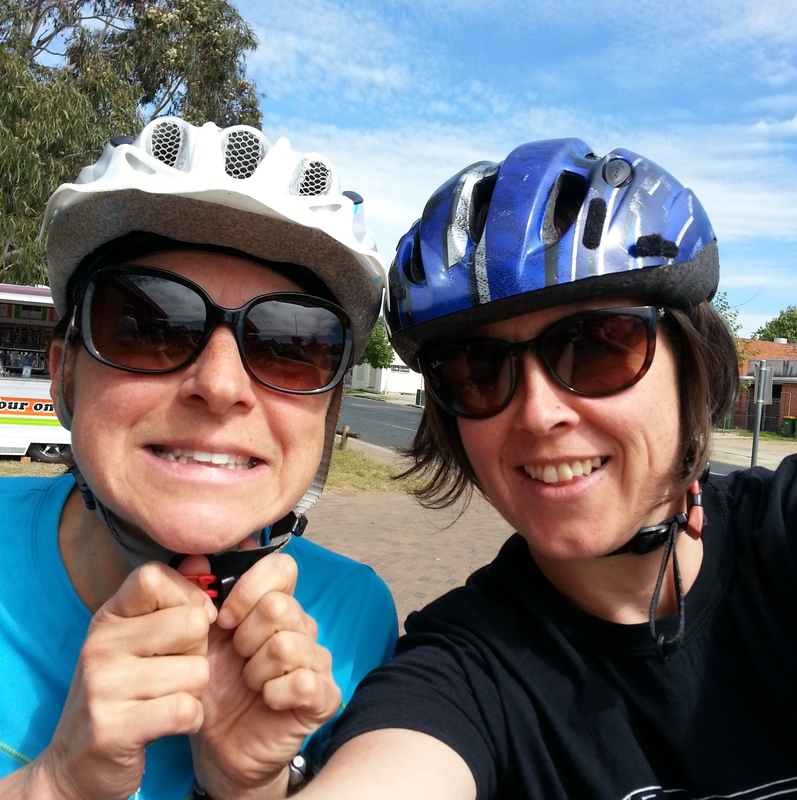 This entry was posted on 13/10/2013 by njd1insulin in Uncategorized and tagged Benalla, Benalla's Better Bike Hike, bike, cow, cycle, diabetes, EdSpace Training Centre, hike, insulin, race, regional Victoria, ride, Type 1.